Each Friday I plan to post something that focuses on my city Pittsburgh, PA. I hope to give you a feel of the city or if you live here encourage you to explore and find some great places. I went out for lunch today and had a specific place in mind. I was going to walk about a mile to Schenley Park. The park is actually located in the middle of Oakland a part of the city. 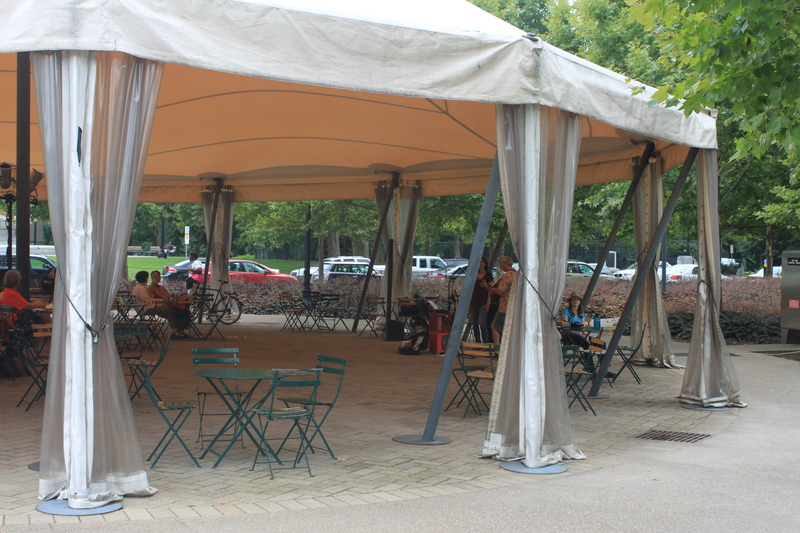 In the past year the entrance to the park has become a diverse area of eateries. There are restaurants but also food kiosks. The place I stopped today is called Conflict Kitchen. It is a unique eatery that focuses on foods that are in conflict with the United States. My first trip there I was able to eat food native to Iran. This time it was food from Cuba. One unique thing is they give a wrapper that focuses not on the conflicts but rather the people and culture of the country. They even interview some of the people. When you read the wrapper you can find the people are not that different from us in our hopes and needs. It truly adds a human element to the country. 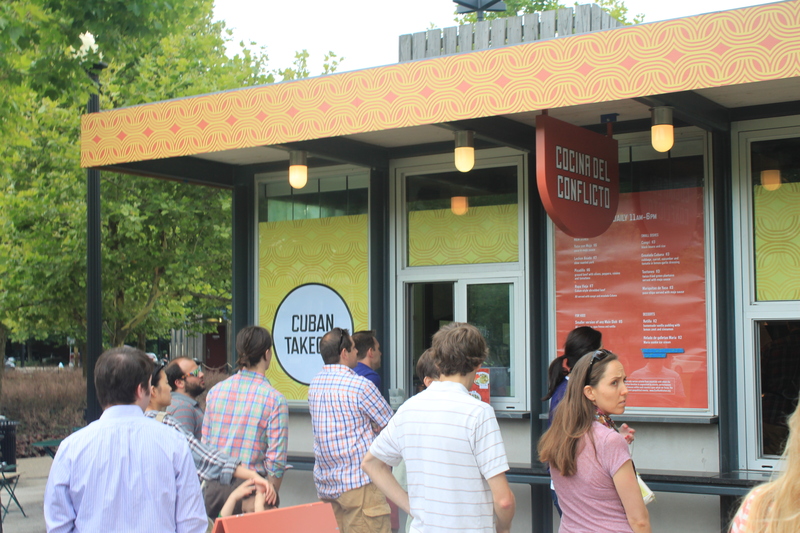 The Cuban cuisine will be there the rest of the summer. I will definitely go back and try more from the menu. It is very inexpensive-my lunch was seven dollars. If you are in Oakland I would definitely recommend you stop and even visit the other food kiosks in the area. I think the falcon agrees. 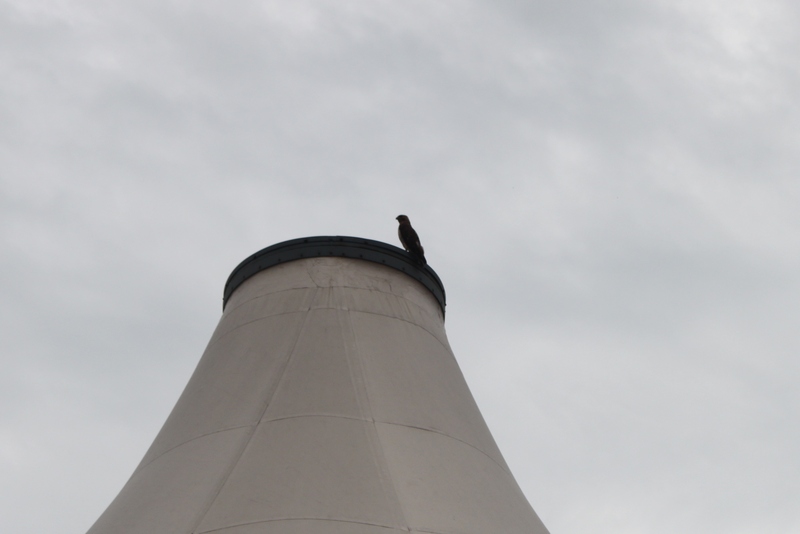 He was perched atop the tent. Unfortunately I did not have my zoom lens. Lesson learned: always have both lens with you. 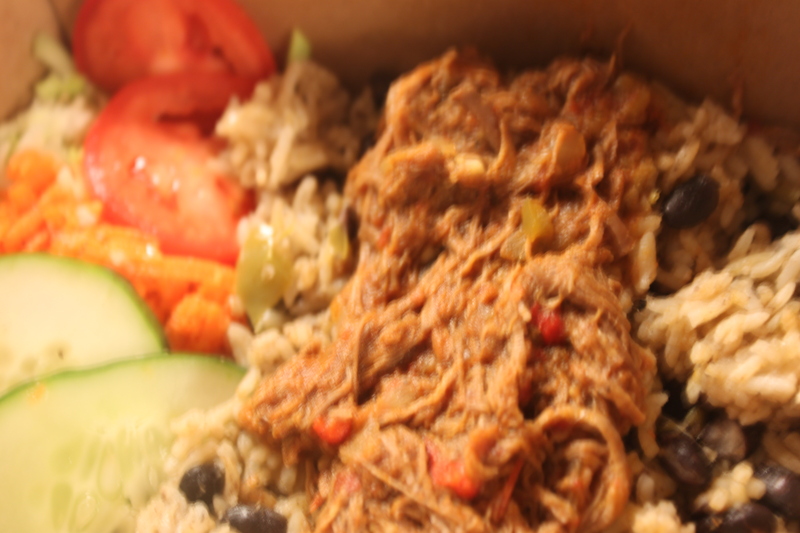 This entry was posted in Pittsburgh and tagged Conflict Kitchen, Cuba, Friday, Iran, Pittsburgh, Ropa Vieja, Schenley Park, United States. Bookmark the permalink. What a great idea to use the wrappers to help people understand the culture and the people of the country. If more places would do things like that our world just might be a happier, more peaceful place to live. Thanks so much for sharing! I agree..it definitely gives insight to the people and doesn’t focus on the politics of the government. What an interesting restaurant with an interesting name. All humans are essentially the same with regard to needs and hope. 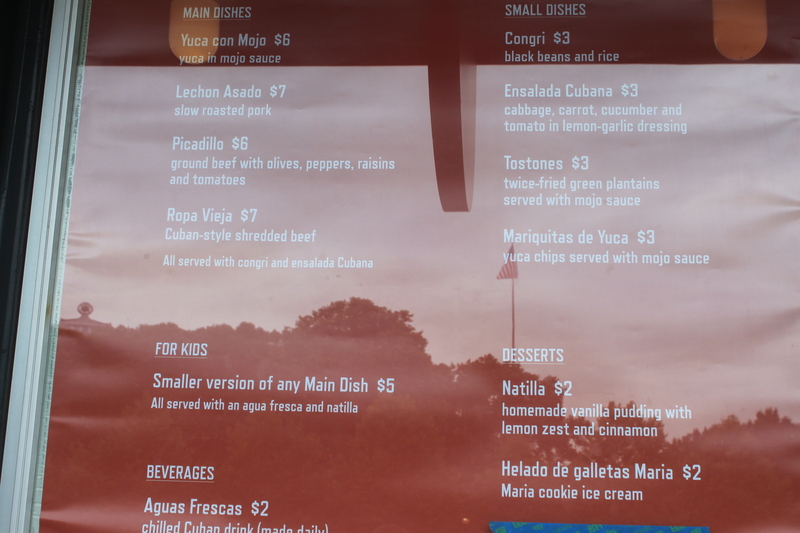 I have never eaten Cuban cuisine, but there is always similarity in food from one place to the other. I hope you enjoyed the shredded beef! enjoy your weekend and your veggies from the farmers market! Thanks for reading my post and commenting. Have a great weekend. Same to you. Have a wonderful weekend!